Depending on the area in which the person you'd like to call is located, you will need to dial a certain combination of numbers in the beginning of the phone number, called the area code. 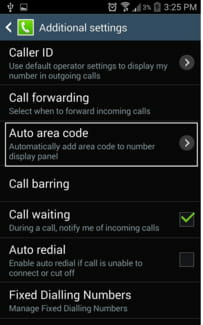 If you use Android, you have the option to set your phone to automatically add an area code to phone numbers. Continue reading to discover how to do so. This process may vary depending on the version of Android that you are using and the model of your phone. Published by deri58. Latest update on October 28, 2018 at 06:39 PM by Olivia Long. 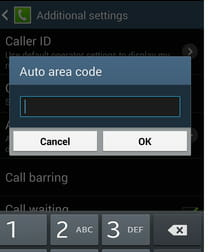 This document, titled "Automatically Add an Area Code to Phone Numbers on Android," is available under the Creative Commons license. Any copy, reuse, or modification of the content should be sufficiently credited to CCM (https://ccm.net/).